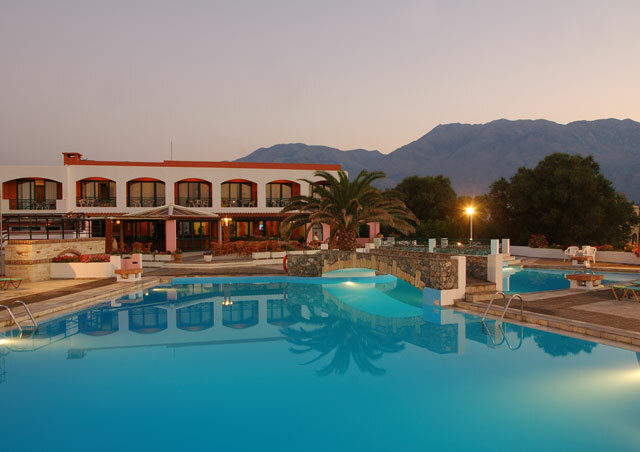 Welcome to the Kournas Village Beach Hotel, a modern Bungalow complex that was built with taste and great care on the longest sand beach of Crete, next to the village of Kavros. The beautiful environment in which our hotel is built is characterised by the beauty and variety of nature and will enthuse every traveller. Surrounded by the White Mountains and the crystal clear water of the Mediterranean Sea our hotel offers the unique opportunity to spend relaxing and recreative holidays, a perfect escape from the daily routine. We look forward to offering you our very best level of true hospitality in our first class facilities. will operate as a full animation Italian club. As of January 1st 2018, the hotel is required to charge all guests with a room tax of € 1,5 per room per stay. This tax will be payable at the hotel upon check out. Holidays at the Kournas Village are pure recreation!